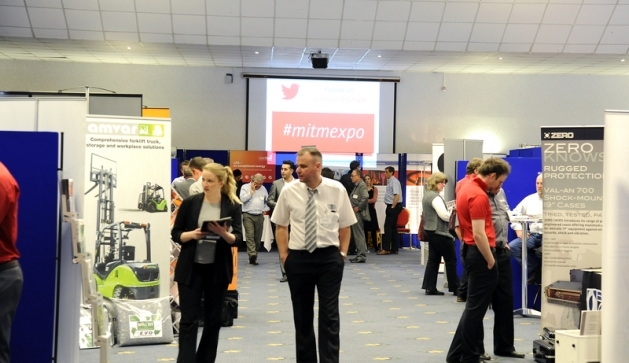 A record number of visitors and exhibitors will convene at a celebration of British engineering, unfolding at this year’s Made in the Midlands Manufacturing & Engineering Summit 2015 on 14th May at the GTG Conference Centre in Wolverhampton. The event will be focusing on the developing supply chain excellence found in UK industry as Britain continues to compete on price and lead on quality in the global arena once again. The summit represents an opportunity to meet with the cream of Midlands industry, meeting like minded company directors to see what is available across the breadth of the supply chain, from automotive to aerospace, from defence to medical - from raw material through to OEM - including a buyer’s forum with Jaguar Land Rover. The event will include a selection of expert led seminars throughout the day, themed to add value to the MD and CEO audience within the manufacturing & engineering arena. The seminar programme will peak with a closing presentation from Mike Michael Mychajluk (BA ACA. ), the Jaguar Land Rover Supply Chain & External Engagement Manager & Automotive Council UK Supply Chain Group Member. This event is the 6th annual summit of MD’s and CEO’s of top Midlands manufacturing and engineering firms, which is on course to eclipse the 1,000 manufacturing & engineering firms who attended last year’s summit and currently has 130 of the best firms in the region showcasing their talents and services. “Midlands manufacturing is flying again and our 2015 MD forums have challenged recent news that manufacturing output is dropping as many of our members have enjoyed the best March – April sales in their company histories” added Addison. At the centre of this event is the growing, privately run peer group ‘Made in the Midlands’ which now represents more than £3bn of regional manufacturing turnover comprising 250 firms represented at boardroom level – now employing more than 10,000 people - united in growing the manufacturing community and encouraging firms to source and supply locally, to share best practice and unite in overcoming challenges facing the sector.